CHANNEL DELAYS: DFDS Dover-Calais 21:15 cancelled due to tech problem. Adverse weather to pass through the Channel overnight Sunday and last until Tuesday afternoon says Condor Ferries, high speed UK-Channel Islands services cancelled on Monday. WEATHER ALERT: Amber alerts: Ireland, Pyrenees, Norway, Italy, Hungary + Balkans. WEATHER: Gales, heavy showers Mediterranean, heavy snow Adriatic/Balkans, rain West. MAJOR TRAFFIC DELAYS: A1 northbound Brussels>Antwerp, lanes closed J11-8 at Mechelen, delay down to 50min – only one lane open until 23:00 tomorrow. World Cup skiing at Kitzbuehel means the Innsbruck-Munich-Salzburg region will be busy tomorrow. ROADS: Local road closures Switzerland and Austria, snow. DRIVING FORCE UKRAINE: one of the anti-demonstration laws which sparked off this latest round of protests – now spreading around the country – was a ban on more than five vehicles in a convoy. 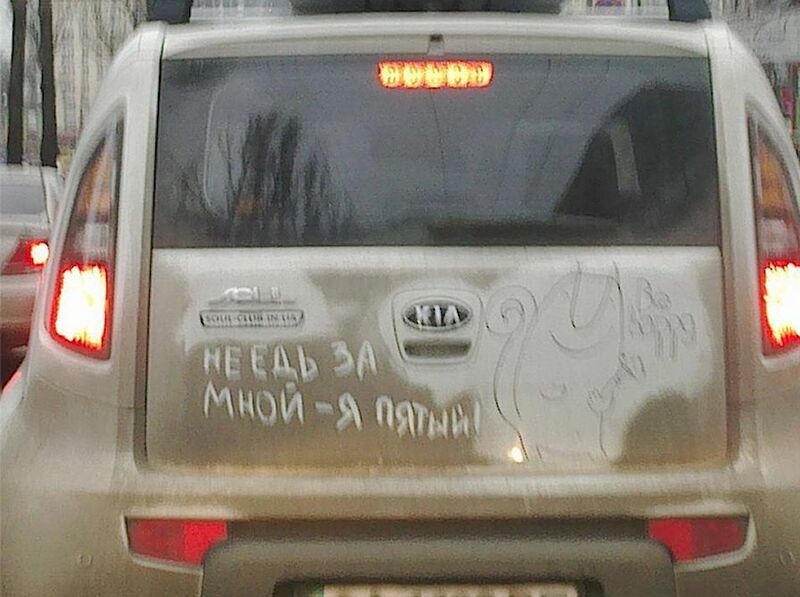 Hence the slogan above, ‘Don’t follow me, I’m the fifth.’ Meanwhile, fears are growing over the whereabouts of Dmytro Bulatov, spokesman for Automaidan, the 5,000 strong mobile wing of the anti-government movement (reports @RFEFL). Bulatov has been missing since Wednesday, the day when Automaidan activists were targeted by ‘security forces’ (official or unofficial). The group, which met with the British Ambassador on 14 January, is increasingly seen as central to the entire movement. Pro-government elements fear them so much because car owners represent the stable, property owning middle classes. Natural radicals these people are not. Photo via @EuromaidanPR.